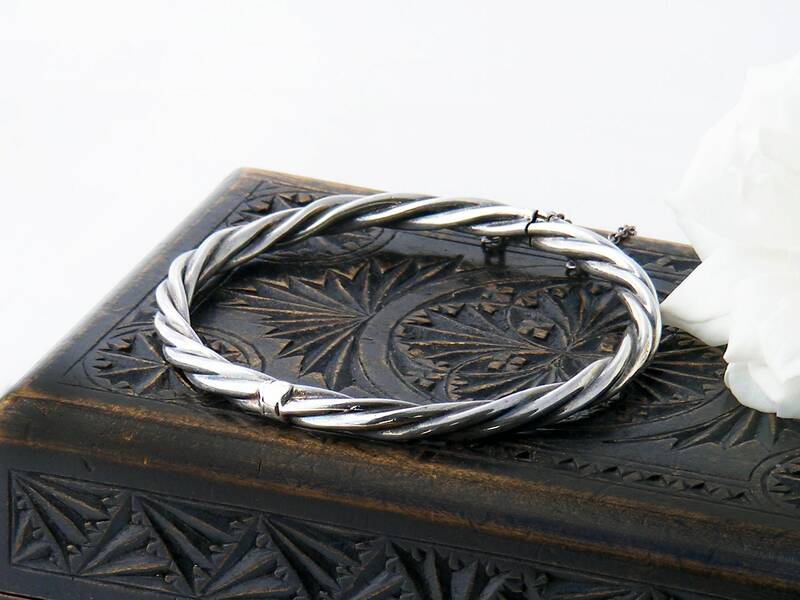 A superb vintage sterling silver hinged bracelet, expertly made with a thick and tactile rope twist design - a classic beauty. 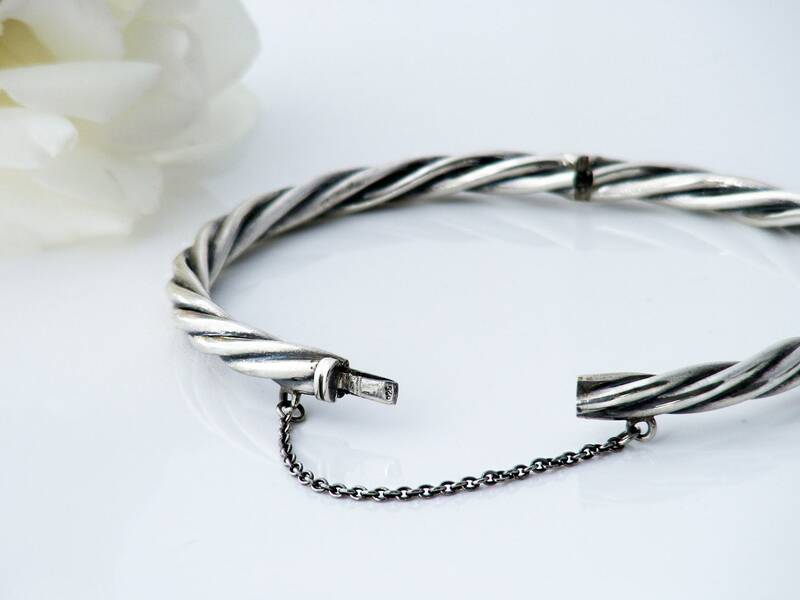 Sterling silver, stamped '925' on the clasp and with a full hallmark for England, the City of Birmingham and a trade mark introduced in the 1970s. 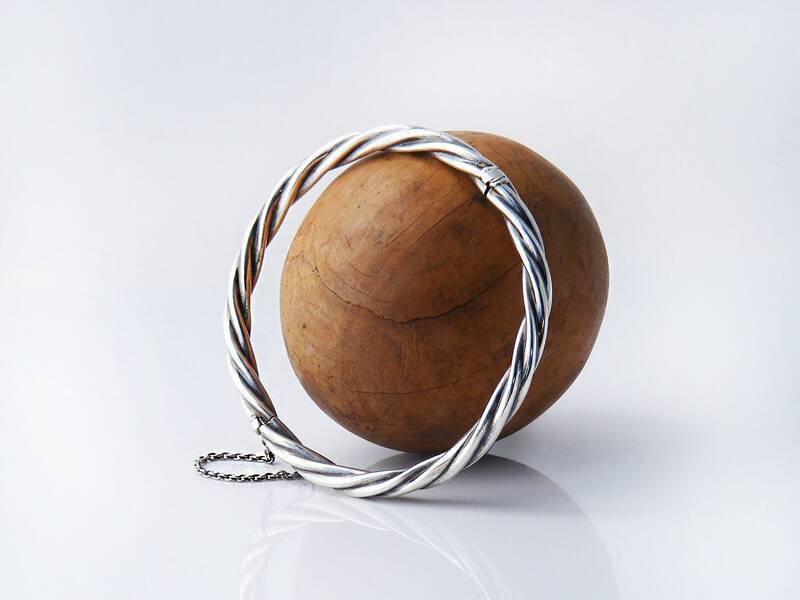 The hinged bangle has a clasp with an insert tongue that depresses and clicks firmly into position with a strong safety chain. 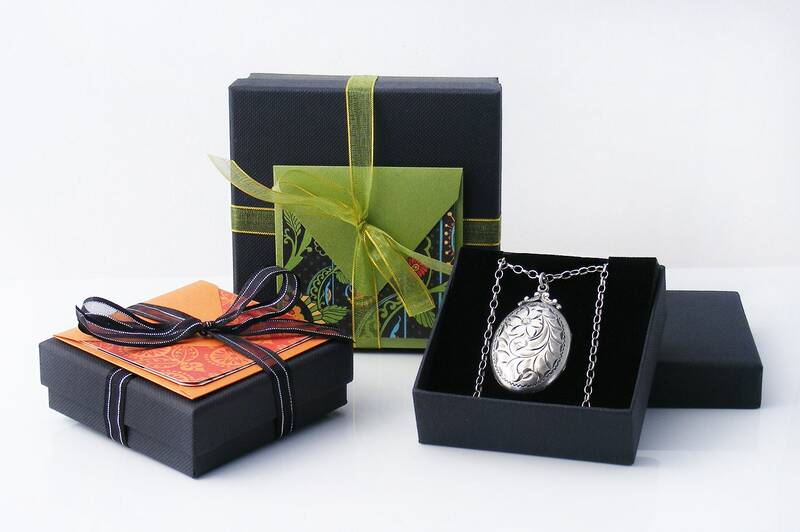 Size: average wrist size, the inner circumference is 7.25 inches or 185mm. Fits a 7 inch wrist perfectly. Condition: Excellent. 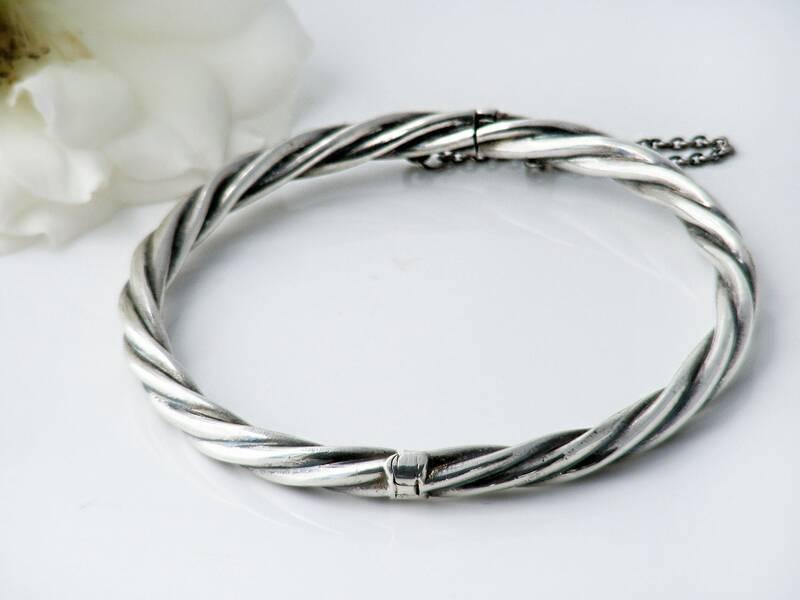 The bracelet is very strong and has been well cared for with a firm hinge and clasp working perfectly. Lovely natural patina to the silver. 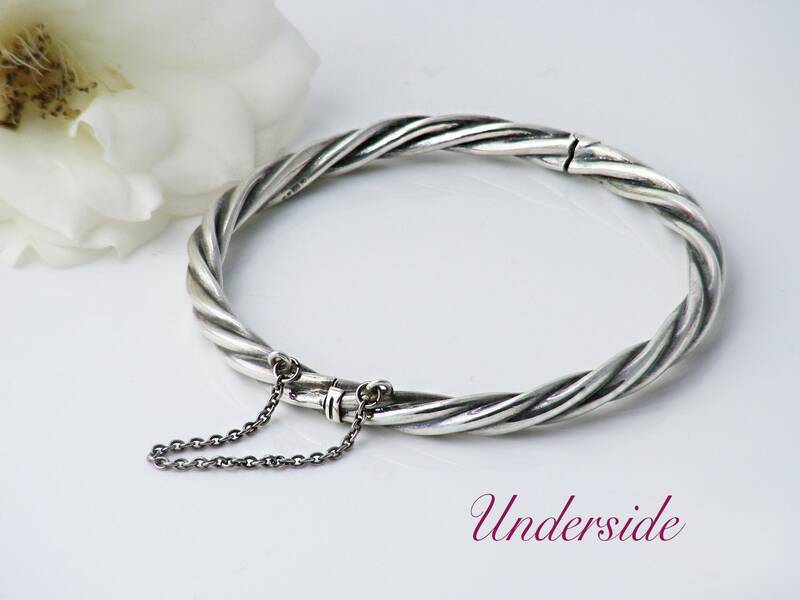 A gorgeous bangle that is timelessly beautiful.